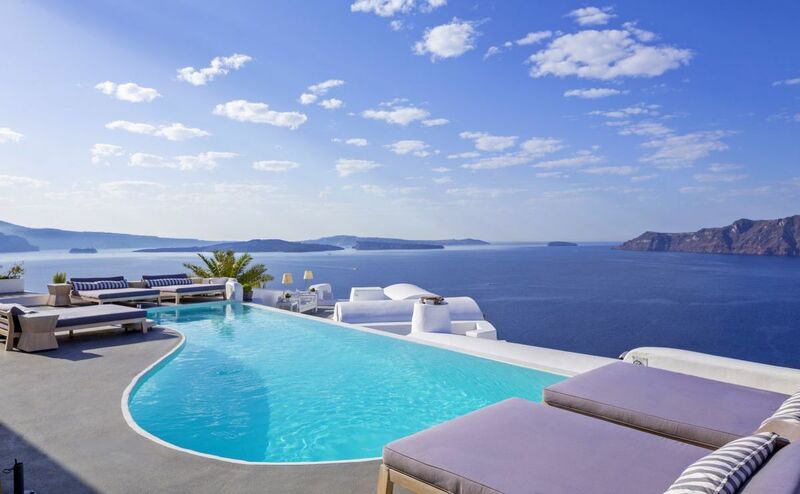 Katikies Hotel in Oia, Santorini, has been voted as the best resort hotel in Greece, the 7th best hotel in Europe and among the 100 top hotels in the world, in the Travel + Leisure 2017 World’s Best Awards. The Travel + Leisure World’s Best Awards rely on guest experiences. Hotel/resort rankings are based on readers’ ratings of five characteristics: rooms/facilities, location, service, restaurants/food and value. This year’s results are featured in the August 2017 issue of the magazine, as well as online. Katikies is the only Greek hotel awarded for the third time as one of the top hotels in the world by the Travel + Leisure readers. The hotel operates under the management of HotelBrain, which specializes in hotel development, management and consulting. 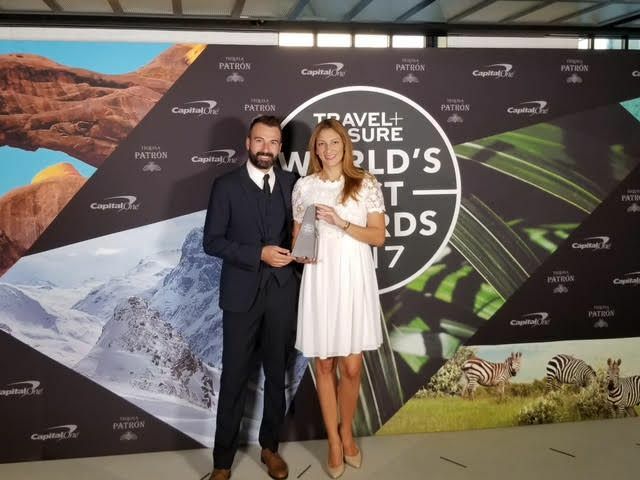 The celebrated award for 2017 was accepted by HotelBrain’s Director of Sales & Revenue Management, Roula Kormpou and Director of Sales, Nikos Georgiadis, during the World’s Best Awards Winners’ Ceremony on July 26 in New York City. Every year for its World’s Best Awards survey, T+L asks readers to vote the top hotels, resorts, cities, islands, cruise ships, spas, airlines, and more.